Everybody knows it’s easy to get swept along with what’s in style, only to get tired of your trendy design choices a few years later. 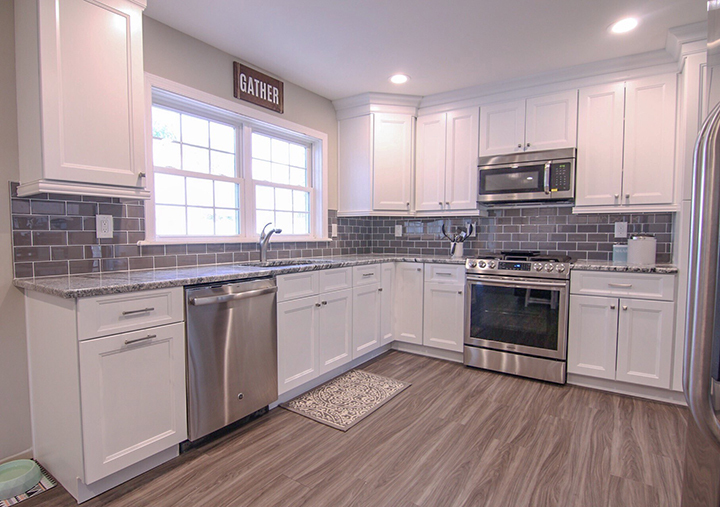 Our guess is that you'd like your kitchen remodel to withstand the test of time, so we’re here to help future-proof your design. Here are our tips to make your kitchen timelessly gorgeous and equally functional. Make white the dominant color: A white kitchen simply does not go out of style. Seeing as white is the most marketable color, it is definitely something to consider when designing your new space. White holds its popularity because it makes small spaces feel more open and brighter. And for those of you clean freaks, white assures that dirt has no place to hide. Hardwood flooring: The look of wood makes a home feel cozy and inviting. That’s why this feature pairs well with any kitchen style – from casual, traditional or contemporary, wood fits all spaces. A dark stained wood will achieve a dramatic feel, whereas a light, white-washed wood will result in a more rustic finish. 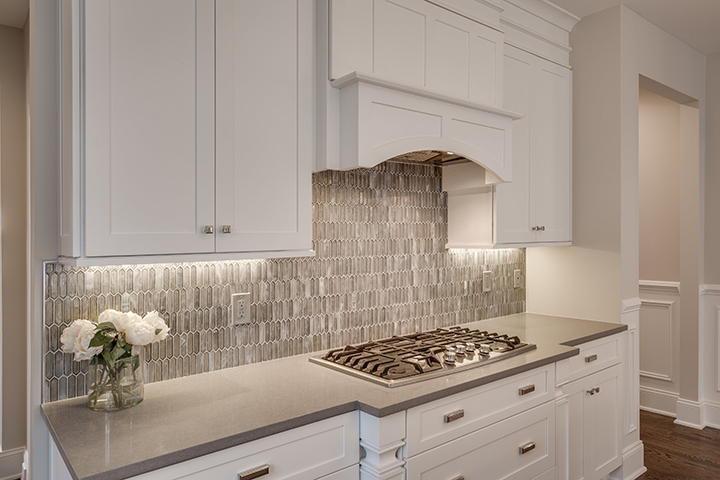 Shaker Style Cabinets: This style of cabinets offers clean, simple lines that will forever be in style. Shaker Cabinets are popular among American design, and have a talent for looking good in any setting. Their simple frame and panel will be sure to reduce the look of clutter. Ergonomic Design:This means designing with convenience in mind. Whenremodellinga kitchen, you want to keep functionality at the forefront of your decision-making. A user-friendly kitchen will hold its value, and make everyday life much easier. Lower cabinets should be built with pull out shelves to reduce the strain of hard-to-reach items at the back of cabinets. You might also want to consider pull down shelves for your upper cabinetry to limit having to overextend. Another option is to create differing countertop heights to accommodate individual family members. Kids will enjoy a lower-level designated space where they can spread out their homework after school. Large hardware: Turning knobs can be difficult for some older folks, so replacing cabinet knobs with oversized pulls is simple, yet highly effective for those looking to future-proof their space. Faucets that are easy to maneuver are also better for those with arthritis. Space:Make sure to optimize the square footage of your kitchen. There should be sufficient room between countertop surfaces to make getting around easier, especially for those who use wheelchairs or walkers. When it’s time to remodel, you should take into account the aging-in-place principles. Whether it's your current or future needs, the above suggestions will make your space more desirable. Will your kitchen withstand the test of time? We’d love to hear about it in the comment section below.